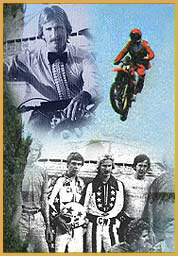 "Not only am I the greatest motorcycle jumper in the world, I am the world's greatest motorcycle rider." 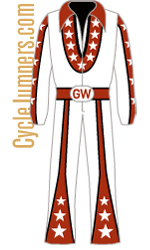 Gary Wells motorcycle rider extraordinaire is probably the most recognizable jumper name from the 1970s next to Evel Knievel's. He was also one of the best American jumpers from the 70s and 80s. 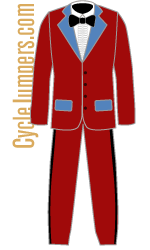 Gary was featured along with Evel Knievel in the book,"The Cycle Jumpers". 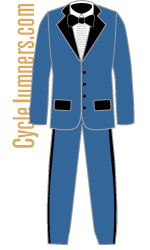 Gary started his career in motorcycle racing in Arizona. 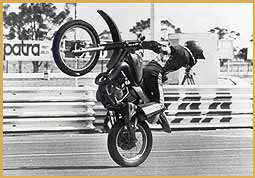 He made his first professional motorcycle jump when he was 14 years of age. 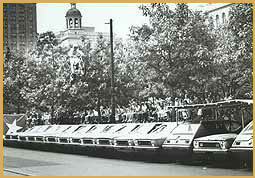 This was the beginning of a career that led him touring all across North America, Mexico and into Australia. He has achieved many records and has competed in many jumping competitions. He's competed against Australia's Dale Buggins and Australia's Johnny "Wonder" Fogwell. 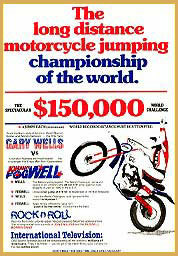 Wells made his record jump against Fogwell on April 13, 1980. He jumped 30 cars the distance was 176 feet 4 1/2 inches. Gary's infamous crash happened during his Caesars Palace jump for ABC's "That's Incredible" television show on September 15, 1980. Today Gary leads tours around the Southwestern United States and continues to jump in Mexico. The above photo features Gary jumping on September 5, 1971 at the Beeline Drag strip in Phoenix, Arizona over 16 cars. This was his second official public appearance. This photo (taken by Marshall Spiegel) comes from the collection of Duan Hatton who was a neighbor of Gary back in the 70's and was at this jump. Gary jumped 155 feet 10 inches over shooting the landing ramp. He literally rode his Montessa into the ground when the front spokes gave way. He crashed, but got up and walked to the ambulance then returned and signed autographs from the hospital. Thanks Duane!